Women interested in learning more about careers in the fields of science, technology, engineering and math, (STEM), are invited to a conference Oct. 9-10 at the Kellogg Hotel and Conference Center in East Lansing. The conference features a keynote address, presentations and breakout sessions that focus on professional development and leadership. All MSU alumnae, faculty, staff and friends are welcome to attend! Bring a friend and receive 20 percent off both registrations. RSVP by Sept. 28. Register now. Questions? Contact Elizabeth Wheeler at szufnar@msu.edu 517-884-0290. 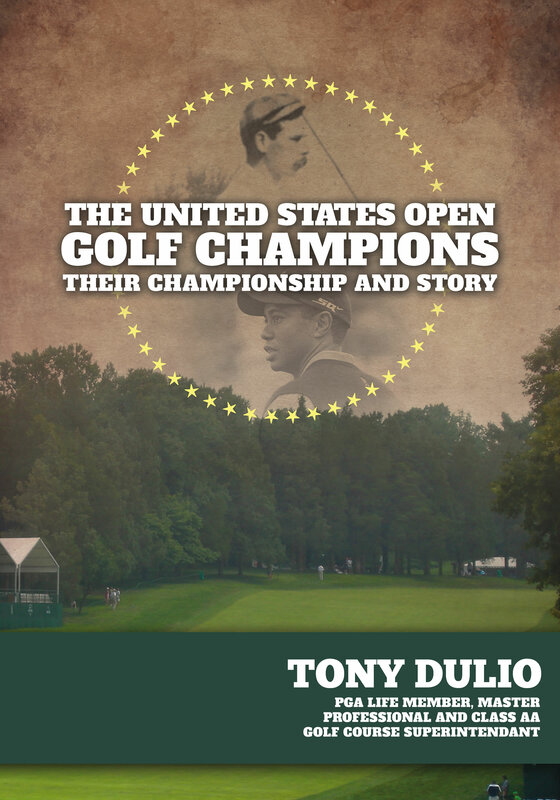 From Willie Dunn Jr. to Justin Rose, PGA Life Member and Master Professional Tony Dulio reviews every U.S. Open played since 1894 in The United States Open Golf Champions: Their Championship and Story. Dulio’s storytelling is complemented by finishing scores for all of the 113 U.S. Opens that lead up to the 2014 National Championship in Pinehurst, North Carolina. The second oldest major championship in golf, it started humbly in either 1894 or 1895, depending on your point of view. It has been sought after by the best professionals and amateurs in the world since its beginning. 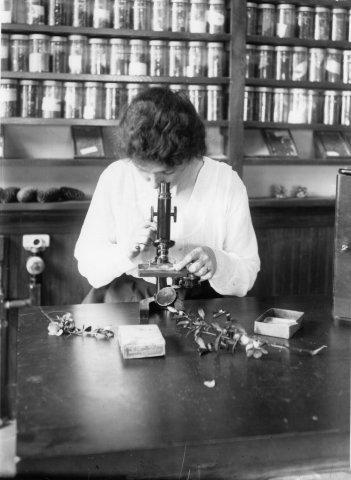 They've come from all walks of life and from all social and economic backgrounds. Dulio recounts the history of the coveted tournament and those who sought to become champions. Brad Honeycutt, '66, Authors "The Art of Deception: Illusions to Challenge the Eye and the Mind"
In his newest book, The Art of Deception: Illusions to Challenge The Eye and The Mind, author Brad Honeycutt features 200 of the finest deceptive images ever assembled sure to excite novices and long-time fans of illusion art. The spectrum spans from classic optical illusions to art that is "made real from the impossible." This collection includes famous paintings, stunning photographs, and computer enhanced visual eye treats that will make your mind's eye blink. Every image was handpicked to feature a specific segment of the illusory spectrum that has one sole purpose—to illustrate the best artistic presentation possible. With commentary by the artists about their vision and techniques, this is an extraordinary book on the art and science of the illusion. 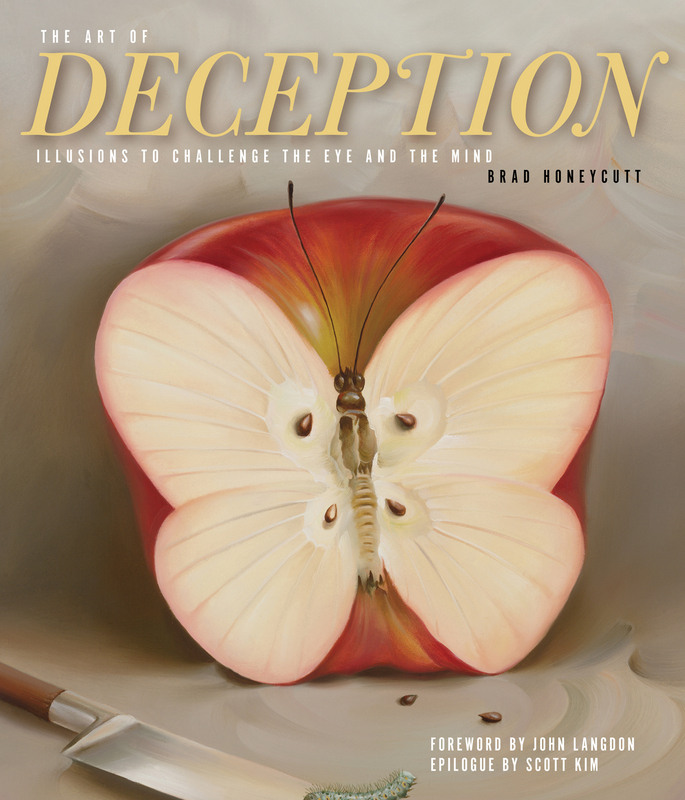 Readers will feast on the works of such master illusion artists as: Guido Moretti, Tracy Lee Stum, Vladimir Kush, Rob Gonsalves and Bev Doolittle, to Istvan Orosz, John Langdon, Scott Kim, Oscar Reutersvard, and Donald "Rusty" Rust. Heidi Chandler grew up in Gaylord and graduated from Michigan State University. She spent a few years working in advertising, and eventually settled into a career as a high school journalism teacher at Lakeview High School in Battle Creek. When her first child died unexpectedly, she left her teaching career and began to explore her passion for writing. 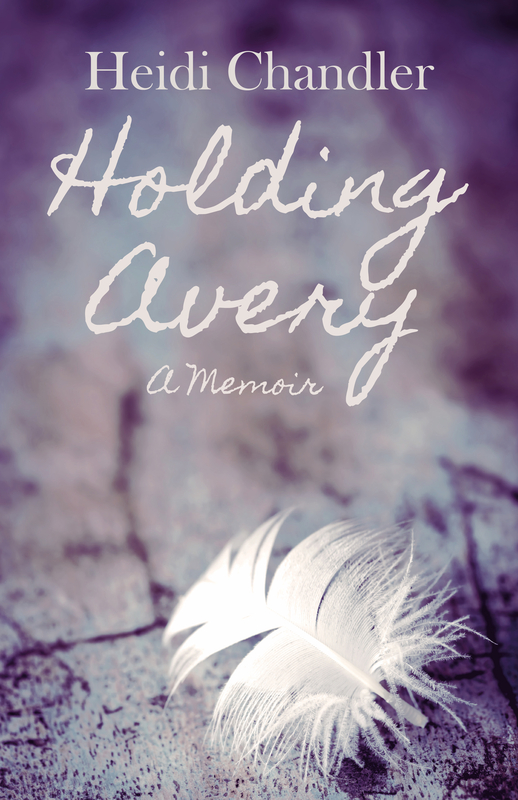 Her first book, Holding Avery, is now off the press and was a cathartic exercise. Fortunately, happier times have arrived. She lives in Plano, TX, with her husband Chris, also a Spartan, and two little boys, ages 2 and 4. In her spare time, she writes, runs, cooks and enjoys the outdoors. Do you consider yourself a hunter? If you have you ever dated, played sports, or held a job, then your answer should be yes. We are always hunting—trying to track down and take the things we want, the things that will make our life bigger, better, safer; more satisfying, exciting, and just plain fun. 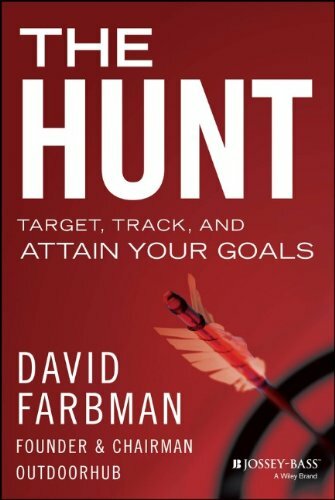 In The Hunt, serial entrepreneur, hunter, and OutdoorHub founder David Farbman offers a way of thinking about work, life, and our connection with the world based upon the ancient discipline of hunting. The Hunt will inspire anyone striving for more to think like hunters—with poise, concentration, and skill; to identify their targets; and, with focus, determination, and satisfaction, to achieve those goals. 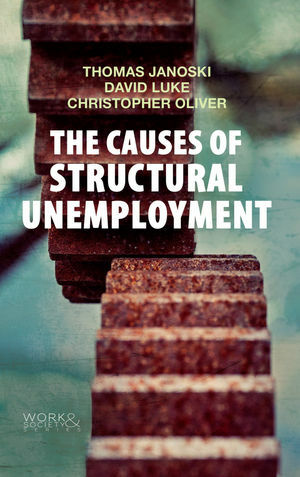 Two Spartans, Thomas Janoski, '69, and David Luke, '81, have joined co-author Chris Oliver, to write a new book called The Causes of Structural Unemployment: Four Factors that Keep People from the Jobs They Deserve. The book is intended for a wide audience, and begins by saying that structural unemployment is a “spectre haunting advanced industrialized societies.” It argues that there are four main causes of the current conundrum of labor—skills mismatch (often exaggerated), off-shoring, technology, and financialization. It has concrete and far-reaching policy recommendations. Organizations accomplish results when they powerfully engage employees and capture their discretionary time. This is more important than ever during this period where employees are facing unprecedented time poverty. Technology has blurred the lines between employees’ work and personal lives, and they are faced with the challenges of successfully navigating and integrating work and personal demands. When organizations provide the right benefits, policies, and cultural practices, they win and they serve employees in the process. Using examples and real-world experiences from senior executives and employees, author Tracy Brower shows readers the importance of work-life supports and how they lead to more engaged and fulfilled employees. 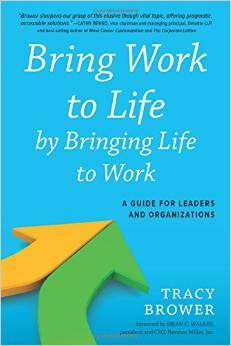 Bring Work to Life by Bringing Life to Work is your go-to guide to work-life support, providing easy-to-read strategies for building and implementing your organization’s strategies to harness work-life supports, increasing positive impact to your bottom line. Michigan State University officially dedicated the $24.5 million North End Zone Complex, a 50,000-square-foot addition to Spartan Stadium, on Monday, Aug. 25. A crowd of more than 600 Spartan Fund donors attended the dedication ceremony. An hour-long open house was held before the ceremony, as people toured the 4,500-square-foot Rachel Fairman Adams Locker Room, the 3,600-square-foot Tom and Lupe Izzo Family Media Center, and the 4,000-square-foot Mark and Nancy Hollis Family/Skandalaris Family Engagement Center. 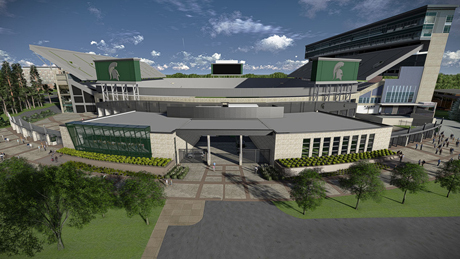 Former All-America offensive lineman Flozell Adams provided a leadership gift of $1.5 million for MSU's new locker room, which is named in honor of his later mother, Rachel Adams. "This facility is about people," MSU Athletics Director Mark Hollis told the crowd, speaking from the tunnel in the new facility. "It's about the people who work here, who play here, who compete here, but it's also about you."